The most interesting man in the world. Reach out and touch someone. Finger-lickin good. Such advertising slogans have become fixtures of American culture, and each year millions now tune into the Super Bowl as much for the ads as for the football. 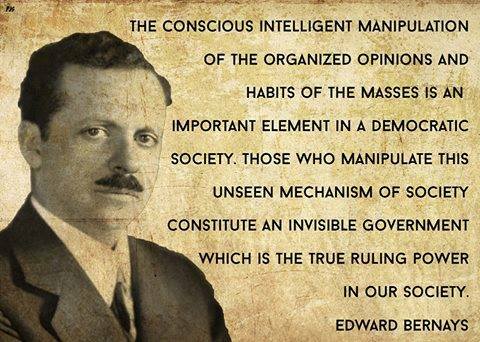 While no single person can claim exclusive credit for the ascendancy of advertising in American life, no one deserves credit more than a man most of us have never heard of: Edward Bernays. I first encountered Bernays through an article I was writing on propaganda, and it quickly became clear that he was one of the 20th centurys foremost salesmen of ideas. The fact that 20 years have elapsed since his death provides a fitting opportunity to reexamine his legacy.
. It is they who pull the wires that control the public mind. Bernays came by his beliefs honestly. Born in Austria in 1891, the year Sigmund Freud published one of his earliest papers, Bernays was also Freuds nephew twice over. His mother was Freuds sister Anna, and his father, Ely Bernays, was the brother of Freuds wife Martha. The year after his birth, the Bernays family moved to New York, and Bernays later graduated from Cornell with a degree in agriculture. But instead of farming, he chose a career in journalism, eventually helping the Woodrow Wilson Administration promote the idea that US efforts in World War I were intended to bring democracy to Europe. Having seen how effective propaganda could be during war, Bernays wondered whether it might prove equally useful during peacetime. Drawing on the insights of his Uncle Sigmund  a relationship Bernays was always quick to mention  he developed an approach he dubbed the engineering of consent. He provided leaders the means to control and regiment the masses according to our will without their knowing about it. To do so, it was necessary to appeal not to the rational part of the mind, but the unconscious. Bernays acquired an impressive list of clients, ranging from manufacturers such as General Electric, Procter & Gamble, and the American Tobacco Company, to media outlets like CBS and even politicians such as Calvin Coolidge. 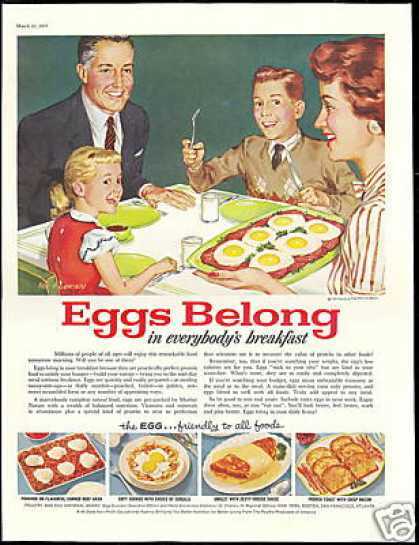 To counteract President Coolidges stiff image, Bernays organized pancake breakfasts and White House concerts with Al Jolson and other Broadway performers. With Bernays help, Coolidge won the 1924 election. Bernays used the same techniques on children. To convince kids that bathing could be fun, he sponsored soap sculpture competitions and floating contests. These were designed to prove that Ivory bars were more buoyant than competing products. Bernays also used fear to sell products. For Dixie cups, Bernays launched a campaign to scare people into thinking that only disposable cups were sanitary. As part of this campaign, he founded the Committee for the Study and Promotion of the Sanitary Dispensing of Food and Drink. Even though Bernays saw the power of propaganda during war and used it to sell products during peacetime, he couldnt have imagined that his writings on public relations would become a tool of the Third Reich. In the 1920s, Joseph Goebbels became an avid admirer of Bernays and his writings  despite the fact that Bernays was a Jew. When Goebbels became the minister of propaganda for the Third Reich, he sought to exploit Bernays ideas to the fullest extent possible. For example, he created a Fuhrer cult around Adolph Hitler. What Bernays writings furnish is not a principle or tradition by which to evaluate the appropriateness of propaganda, but simply a means for shaping public opinion for any purpose whatsoever, whether beneficial to human beings or not.